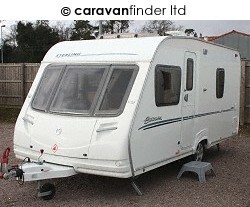 This Sterling Europa has been looked after and is in very good condition. It comes with ALL necessary equipment including even pots and pans! It is a lower end of the market for a fixed bed caravan in terms of price- lots of caravanners are interested in this in the current market which we?re certain will see this one sell quickly. Don?t miss out, contact us today for more information!